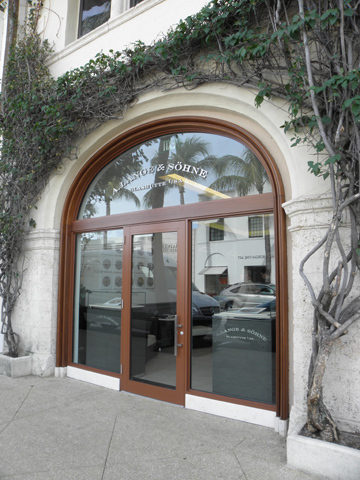 The new A. Lange & Sohne boutique in Palm Beach, FL. 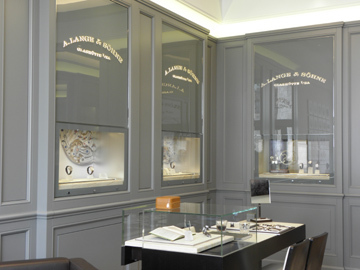 Recently, Atimelyperspective traveled around the world with A. Lange & Söhne to check out its most recent and upcoming boutique openings (we will have a lot more coverage of that trip coming up soon). From Paris, to Dubai to Palm Beach, Fl, the trip proved to be incredibly fruitful and informative. The culmination was in Palm Beach for the grand opening of the brand’s first North American boutique. The store is completely in keeping with the brand’s worldwide concept of clean lines, rich appointments and historic accents. Here we bring you a few images taken first-hand of the boutique. German silver and lies across the dial). The piece is immediately alluring and identifiable. What’s more, each takes quite some time to create. 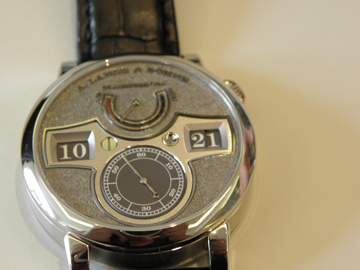 In fact the dial of this particular watch requires approximately two weeks to finish. Back of the new Zeitwerk. 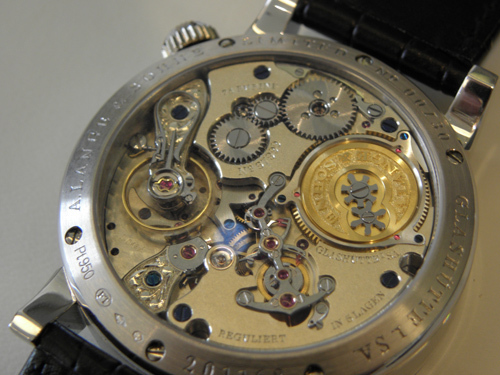 The artistic masterpiece is run by an equally as artistic movement, the Lange Caliber L043 with jump hours (powered by a constant force escapement) and patented barrel design. In addition to this superb watch, we were offered an up-close and very personal look at a number of other pieces – stay tuned for so much more about this trip and A. Lange & Sohne.